MAX FILM , The Ultimate Film Disc The special backing film, together with high performance grain and bonding enable an outstanding Cutting Power and Untra Uniform Finishes in one time! You can count on an overridding durability with its unique anti-clogging treatment. 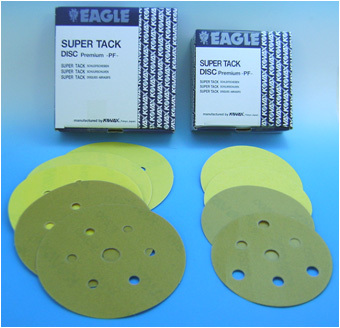 Kovax MAX FILM Super Tack Disc provides you an unforgettable sanding eaperience.There's no reason to get back to a conventional paper disc!